Success means different things to different people. It can mean success in business, in relationships, philanthropy, or being the best person they can. But to be any or all of these things, one must have self-belief. Self-belief is the cornerstone of you being able to fulfil your goals and dreams. Success only comes when you can overcome doubts or lack of confidence in your abilities. 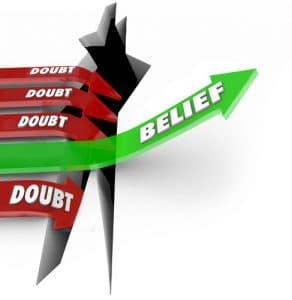 Some people have self-belief naturally, but for many, it is earned through deeds, action or facing problems head-on. A brilliant example of self-belief can be found in this video. It perfectly exemplifies the power to overcome doubt, to face fears and find out what you are capable of in trying circumstances. These people are facing a specific barrier. 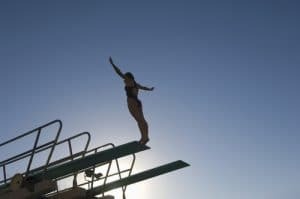 It is not simply the 10m dive board – the jump represents where they are now, and where they could be with self-belief. You should approach job hunting as a positive challenge. Your resume should respond to the qualifications of the position, the criteria of the role, and make grammatical sense. Some applicants send letters and resumes without checking the qualifications of the position, the criteria that must be addressed or even if their documents make grammatical sense. However, the main reason resumes do not get a response is that they are missing that all-important self-belief. Your enthusiasm and drive definitely will shine through in a well-prepared resume. The phrase for this is ‘Soft Skills’. More and more, human resource departments are looking for the person behind the resume. This means your ability to be a person of key influence in your role, someone to whom other staff will look to for guidance, and being a mentor. Also, your ability to communicate well with other departments and with clients is important. Furthermore, your emotional intelligence will be a good marker of your self-motivation, your leadership skills and your problem-solving abilities. Your capacity to do all these things will hinge upon your own confidence. It is important to show these skills all through your resume. It is hard to judge which soft skills are most important, but this list is broadly what employers mean when they talk about good soft skills and the skills which are most likely to enable you to build constructive working relationships with others or to be a constructive and helpful employee. With some practice, it is easy to incorporate these somewhat abstract qualities into your resume. It is a skill worth learning as will make an incredible difference to your chances. A difference you can deserve that you can create. Success comes in many packages. Some are down to fate, but some are down to you believing in yourself. You can create your success when you have the confidence in your own abilities. So move to the edge of that diving board and take a leap of faith.